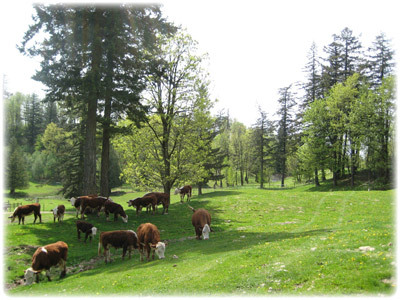 Sumas Mountain Farms - Blog - Lard, Raw Milk, and Organ Meat: a formula for optimal health? Lard, Raw Milk, and Organ Meat: a formula for optimal health? According to the Chicago Tribune, there are thousands of people who are reporting remarkable health benefits from a diet consisting of mostly animal fats, particularly lard. Their diet is known as the Kwasniewski diet --- Polish in origin, and heavy on the pork. Summing it up, the article says "Eat fat non-stop. Everything is pure fat. The more fat you can take in the better and these people are fanatics about it. But the thing is they're all skinny." The article is titled "Praise the Lard" by Monica Eng, reporting for the Chicago Tribune. Although some may liken the diet to Atkins, it's decidedly not that. Huge amounts of fat make the diet unique, but particularly animal fats. Lard features highly, as do eggs, cheese, and whipping cream (raw milk, naturally). As I read the article, I found it very encouraging because it reflects a growing rejection of the mass-produced "non-food" calorie-culture. But it also demonstrates a desire amongst people to return to the eating patterns of our ancestors who, for hundreds of years, ate this way. Unlike today's consumers, they didn't just eat the muscle-tissue --- they ate the fat, the organ meat, and more. But that's not all. The animals they ate were raised on small farms, fed real food, and generally kept outside. Here are several of our beef cows enjoying the grass and the sunshine. I am encouraged by the increasing number of families who are rejecting the "Better Living Through Chemistry" worldview as applied to food. I am grateful for the wonderful people who take the time to make the trip to our farm, many of whom drive out from Vancouver and beyond, so they can buy healthy food. And I am hopeful that as more of us insist on buying local, organic food, we will be rebuilding healthy families and healthy communities.